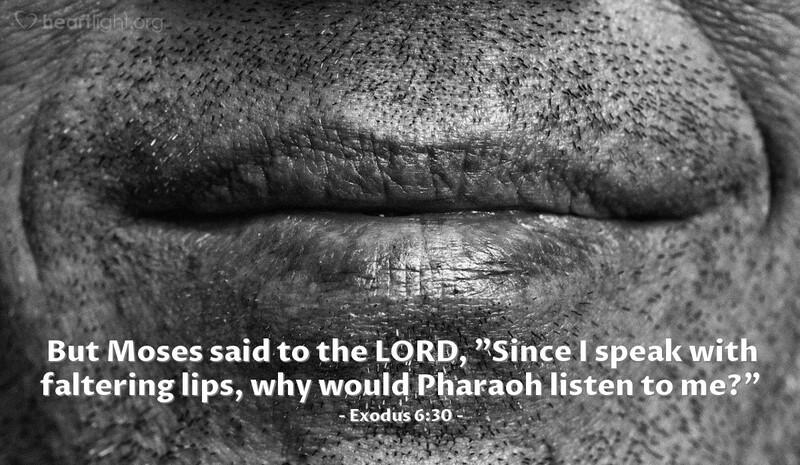 Moses had to learn the same lesson most of us have to learn: folks really don't care that much about what we say. If the truth be known, most of us can't say it very well, anyway. But, when we offer ourselves to the Lord, he truly works through us and uses us in mighty ways. Ol' Stammerin' Mo' is the great testimony that God can take a shepherd with faltering speech and turn him into the greatest leader of his time. Don't you think we had better ask what God wants to do with us, and get to doing it! Loving Father, please use me in your service. I recognize that all the gifts, abilities, and experiences that I have came from you. All my capabilities are given to me so I can bring you praise. So please enable me to use my abilities for your glory. In Jesus' name I pray. Amen.